We manage investment portfolios for individuals and institutions who want to take a more proactive approach when investing in today’s stock market. We base our investment decisions on the probabilities that certain market scenarios either will or won’t unfold, purely via real-time analyses of mathematical data from inside the markets – the place where we can actually quantify a one-to-one cause and effect on investments. 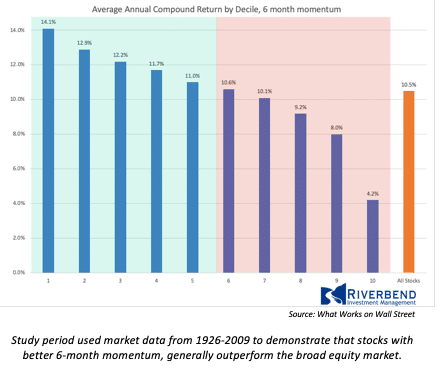 Our growth investment strategies exploit market trends that occur over multiple time frames – weeks, months and years – with momentum as the biggest input in identifying not only ‘big’ market trends, but also the relative-strength winners among the different asset classes we use. Our strategy of no predictions + mathematical rule-sets for entering and exiting markets and assets works, far more often than it doesn’t – and that truism largely spares the investor the type of mental anguish that’s assured to be a constant companion with other, less-reliable methods.